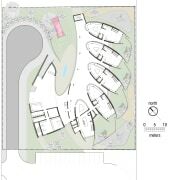 Floorplan of Dalian Preschool, with curvilinear forms and a sweeping roof plane. 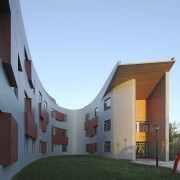 The term institutional architecture doesn't immediately bring to mind buildings that inspire the imagination. 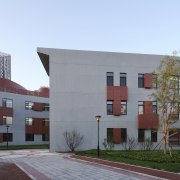 In fact, the traditional view especially as regards educational institutes has tended to be that what happens on the inside is more important than how the building looks. 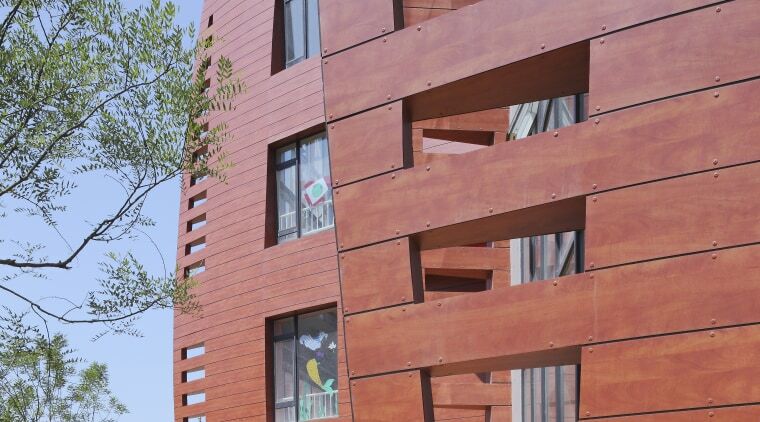 Recently, however, that notion has begun to be challenged by architects who believe that students benefit from an environment that stimulates as well as nurtures. 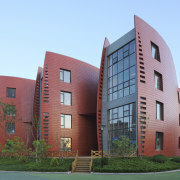 One such architect is Charles Debbas AIA, principal of Debbas Architecture, whose design for the Dalian Preschool in Liaoning Province, northeast China, is a result of the latest international thinking. 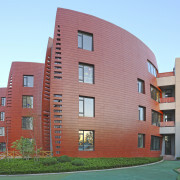 "We were approached by Chinese development, investment and management corporation Yida Group, through the International Child Resource Institute (ICRI) here in California, to submit a design for the first of several preschools to be constructed within a newly established software park at Dalian. "Drawing on the expertise and design criteria of ICRI and Singapore-based Kinderland Educare Services, the result offers children one of the most comprehensive environments for learning, as well as for flourishing as individuals." 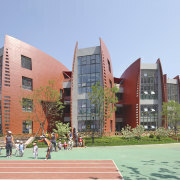 View of Dalian Preschool, with curvilinear forms and a sweeping roof plane. Not that the process was that straightforward. Debbas and team first presented their design back in 2007. They were then asked to retrace their steps and outline how, at each stage, their processes related to international best practice. It would be a further two years before construction could begin. 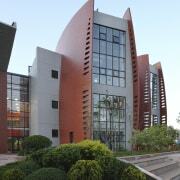 "It was definitely an exhaustive process all round, yet from the start, the project aspired to provide nothing less than a world-leading educational environment," says Debbas. 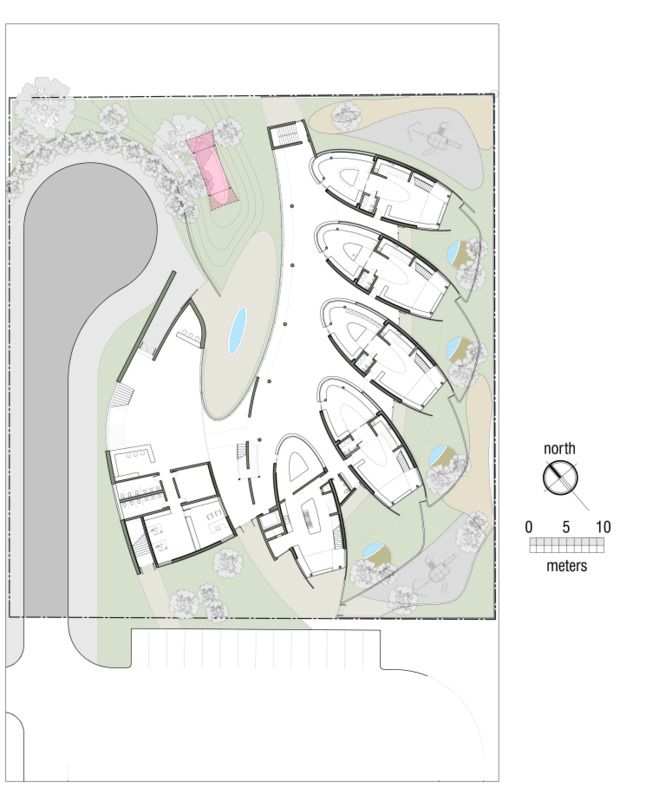 Conceptually, the design establishes a dynamic, fluid vernacular, in response to both the educational goals and climatic conditions. 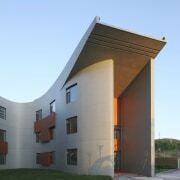 "Winters here tend to be dry and cold, with temperatures regularly dropping below zero, so we sculpted the front facade so that it deflects winter winds around the school. 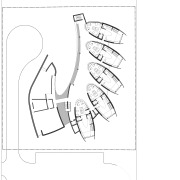 Classroom pods are located to the southeast to take advantage of passive solar gain on colder days," says Debbas. 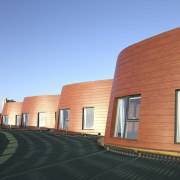 To maximise solar gain, the classrooms feature double-height glazing on the southeastern facade, with split-level interiors designed to admit natural light deep into the rooms. 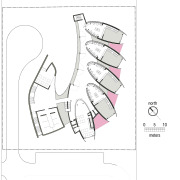 Each pod comprises two classrooms arranged one on top of the other. 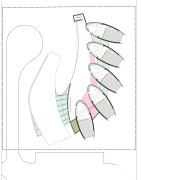 The pod design is reminiscent of flowering seed pods, says Debbas. "Figuratively, the classroom pods cocoon their fragile charges before releasing them to be dispersed by the winds to take root, blossom and ultimately renew the cycle of life." The commitment to sustainability goes further than maximising solar gain. 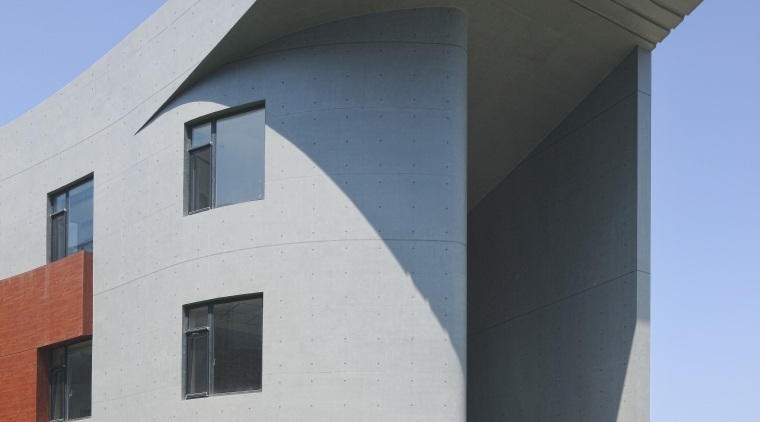 The whole building has been constructed from form-worked concrete and the pods have been clad in pre-finished resin fibreboard panels, instead of wood, to minimise ongoing maintenance. "Overall, our concept was to create a fluid and spiritual environment, far distant from the more mechanistic, rigid and prosaic late-modern designs that have come before it. "Without resorting to theatrical design or applied nostalgic detailing, we want the architecture to invigorate a child's sense of wonder."